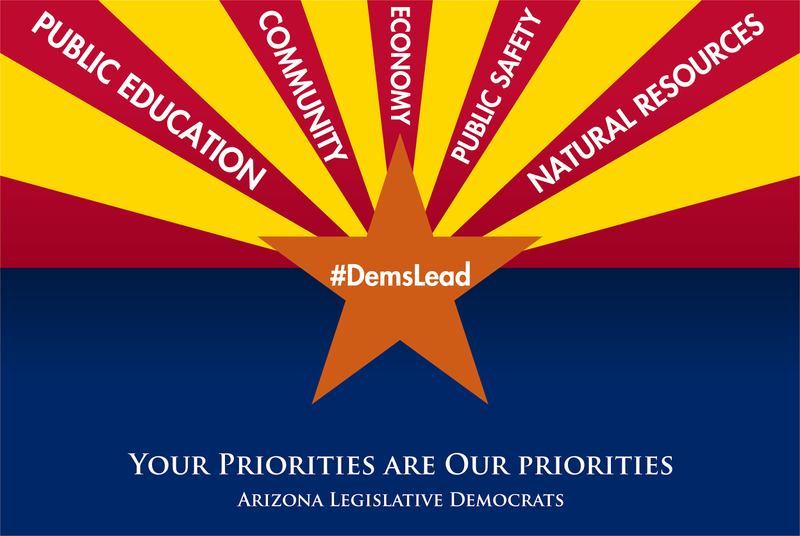 Arizona Legislative Democrats refuse to sit idly by as state officials continue to fail our community’s vulnerable children. The Department of Child Safety remains in crisis. Latest reports show there are nearly 19,000 kids in need of foster homes. On Jan. 29, DCS Director McKay told the Child Safety Oversight Committee that the backlog, as of that month, is still 13,366 cases. There needs to me more accountability both from the agency and the governor, who should oversee its operations. This is why Democrats proposed legislation that will require that recommendations from an independent review of the agency be implemented. This would cost the state nothing, and it is imperative to have tools in place to help protect kids and prevent the trauma caused by the unnecessary separation of families. Legislative Democrats also propose reinvesting in preventive services, keeping kids with their families, providing training and support for family-member caregivers and curbing staff turnover at DCS. The Arizona Capitol Times recently reported an “exodus”from DCS in 2015, citing about one-fourth of the department’s employees leaving. Legislative Democrats want to increase the wages for DCS caseworkers by five percent to help reduce the turnover rate and retain caseworkers. Last year, McKay told the Child Safety Oversight Committee many employees are overwhelmed by the sheer volume of their caseloads. He shared that an employee confided that many of the staff have boxes under their desks of “abandoned cases that came from the last people that quit,” and that there is pervasive concern that a child in one of the cases in those boxes could die. This lack of leadership cannot continue. Democrats have a plan to move Arizona forward that includes correcting the DCS crisis and protecting kids in Arizona communities who remain vulnerable. To see a summary of this plan, click here.